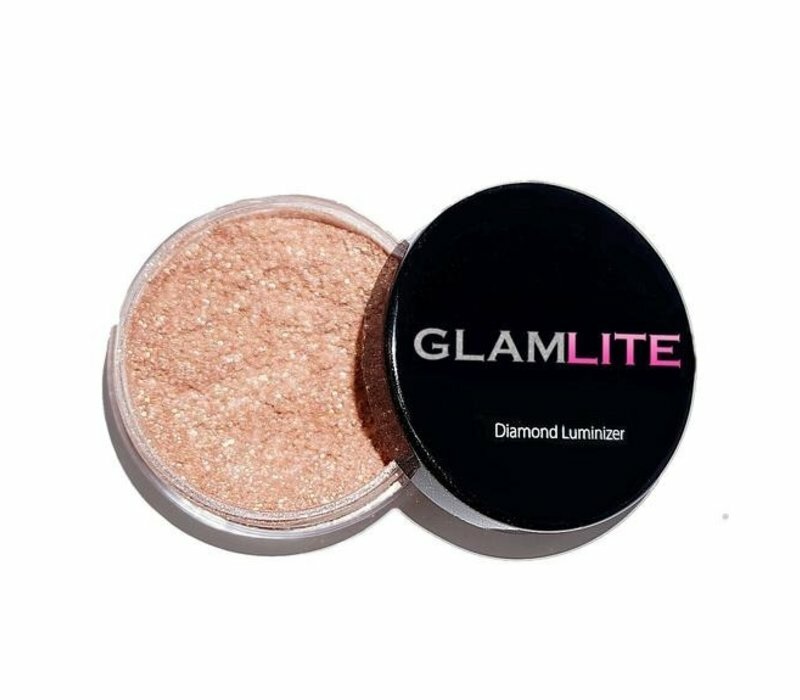 Glamlite Diamond Luminizer Loose Powder Sunkissed is a loose powder for an intense glow. With this luminizer you can go wild and express your creativity. 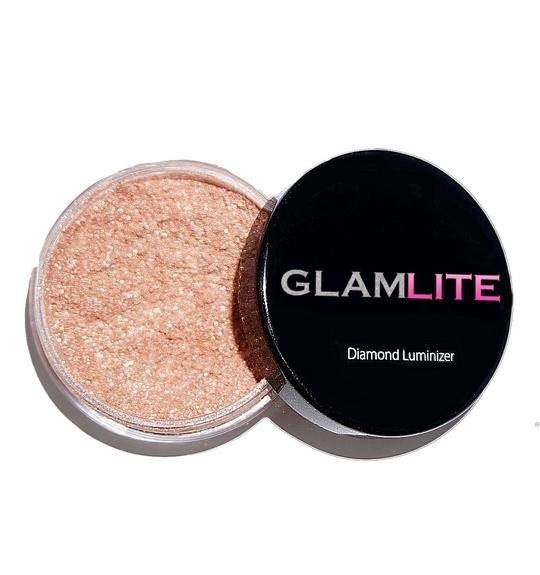 This loose powder has a soft buttery and longlasting formula. The formula is easy to apply and is super nice to blend. A breathtaking look with the perfect glow. This beautiful powder is vegan! Gives a perfect and intense glow. Carefully pat your powder brush in the powder. Apply to the parts that you want to highlight. Mica, Silica, Dime Thicone, Phenoxy ethanol, Decylene Glycol. May Contains: Blue 1 Lake, Ironx Oxide Yellow, Iron Oxide Red, Iron Oxide Black.